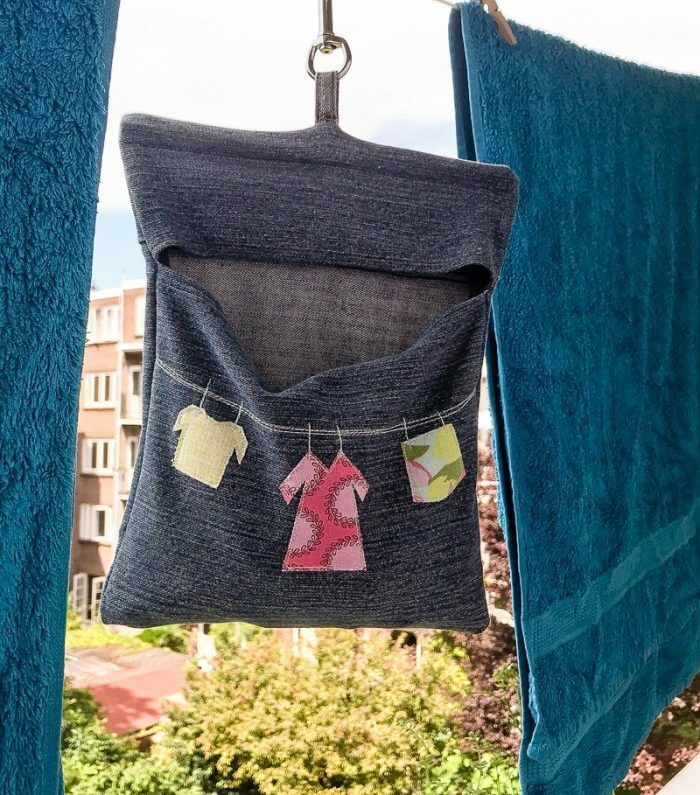 A couple of years ago I made my lovely sister-in-law a peg bag for her flat in Amsterdam, for her balcony. Much as I liked the peg bag, the opening for the pegs was a little wide. Unfortunately, it blew away, but this gave me a chance to modify my design. 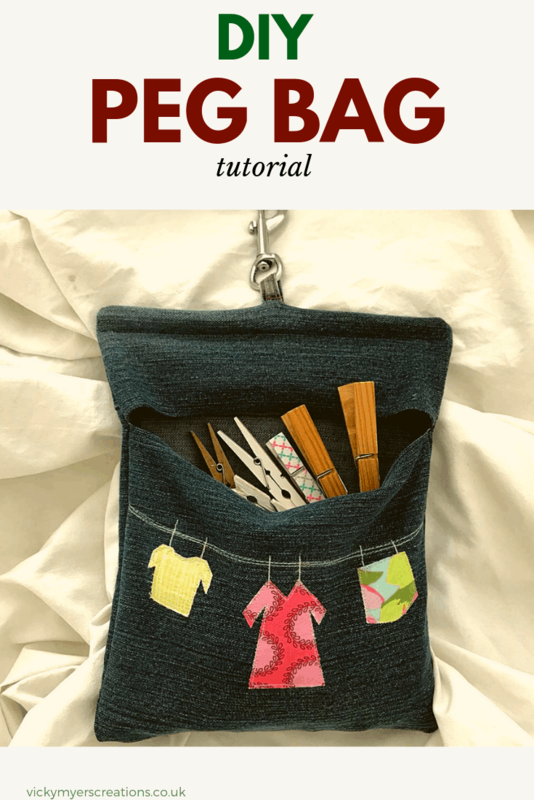 I was happy to remake the peg bag, refining my design. 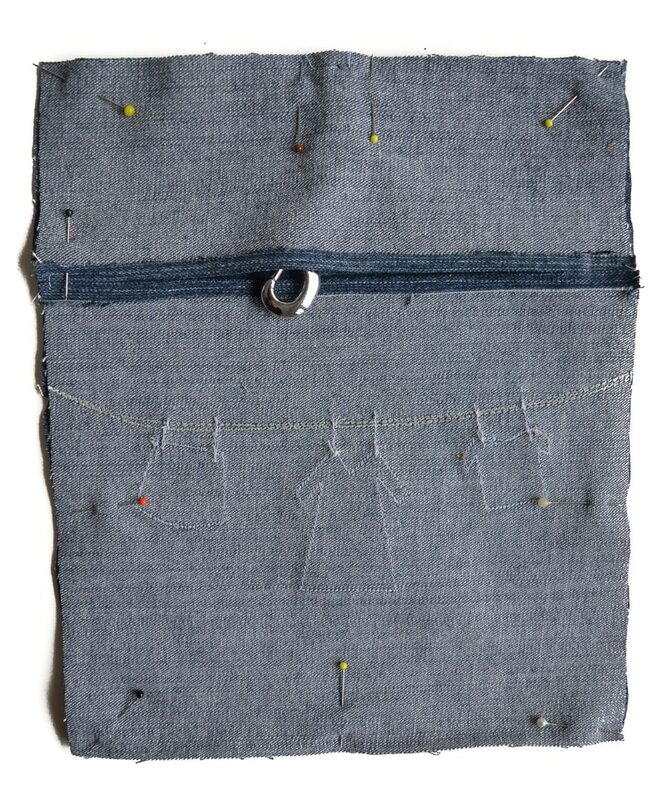 The key feature of this denim peg bag pattern, other than I have selected hard wearing denim (as is my tendency) is the key clip hook – surely this peg bag will not fly away, whatever the wind!! 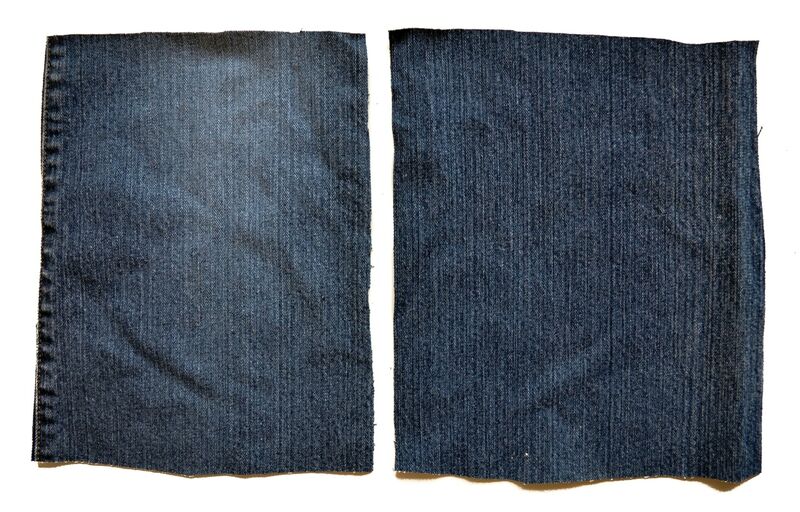 Cut two pieces of denim from the jean legs, measuring 24 cm in length and the leg width – in my case 20cm. 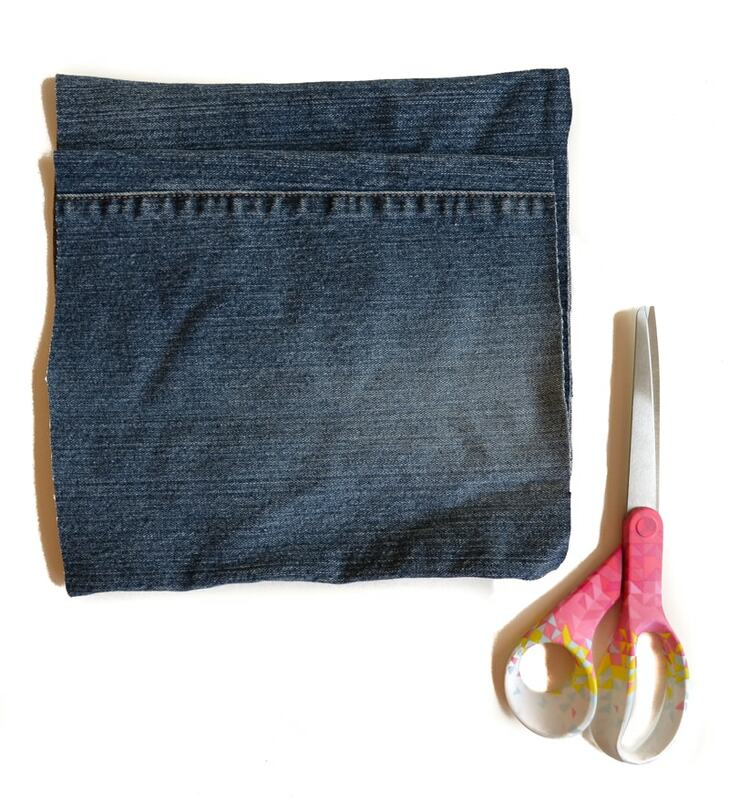 Cut down one of the seams to create rectangles (save the seam which is straightest). For the front cut one of the panels into two pieces, 24 by 9cm for the top piece and 24 by 12cm for the bottom piece. 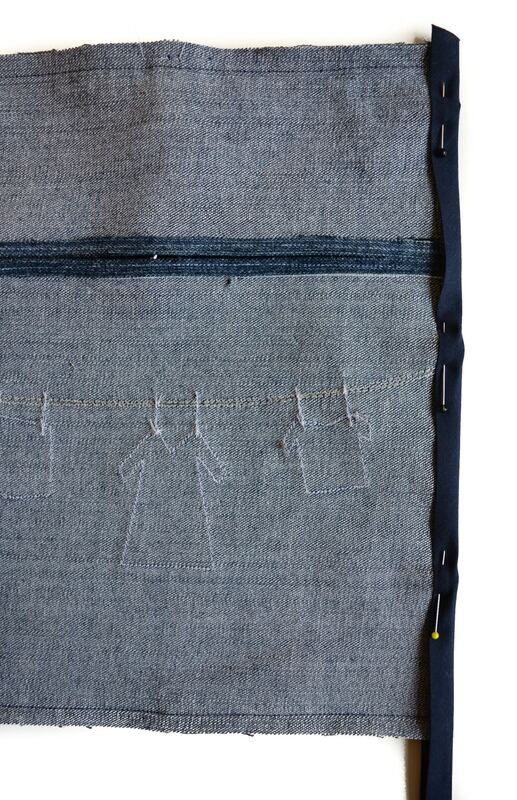 Mark on the bottom piece with tailor’s chalk a stitch line for the washing line. 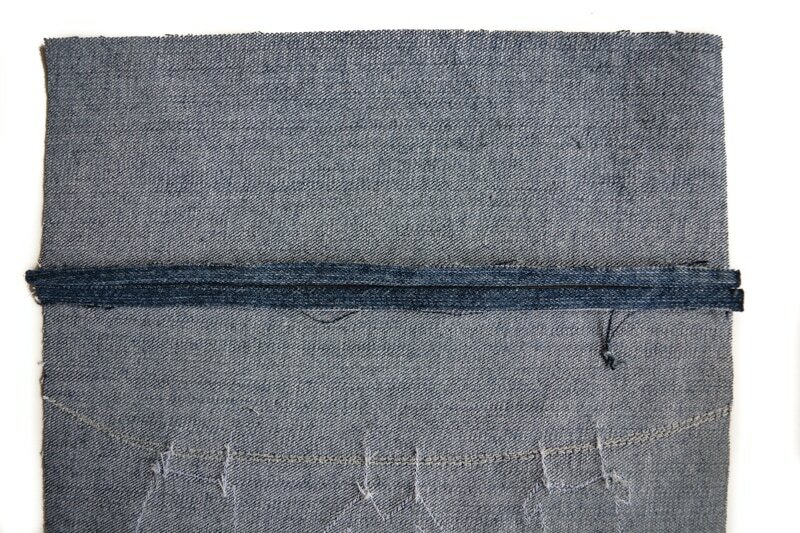 Stitch in a contrasting thread several times. Iron some fabric scraps. Apply bondaweb to the back. 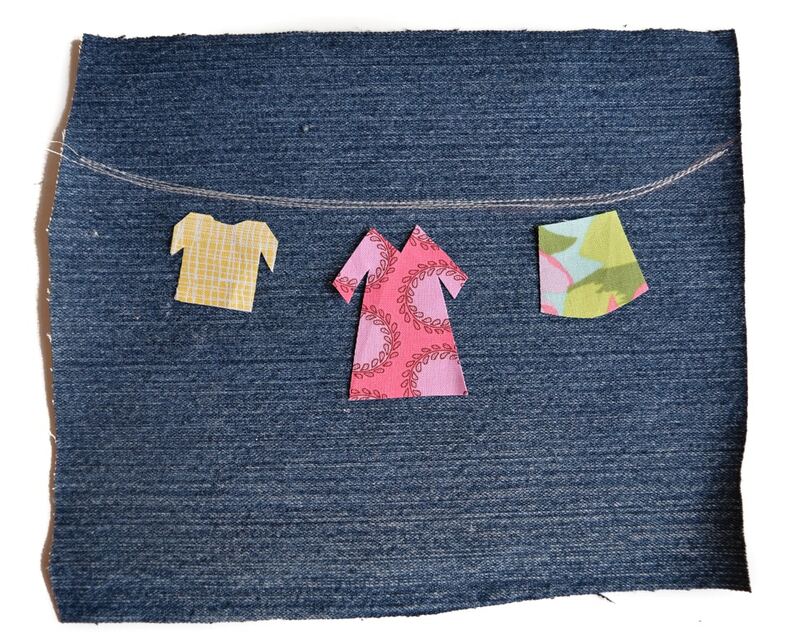 Cut out various items of clothing to hang on your washing line. Place just below washing line and iron into place. Stitch just inside the edge of the clothes. Hand or machine stitch pegs. Stitch in from edge for 3 cm with a 1/2cm seam allowance. Repeat at the other edge. Place a key clip hook through a denim belt strap. Pin centrally at the top of your front bag panel. Baste in place. Place the two pieces of the bag right sides together. 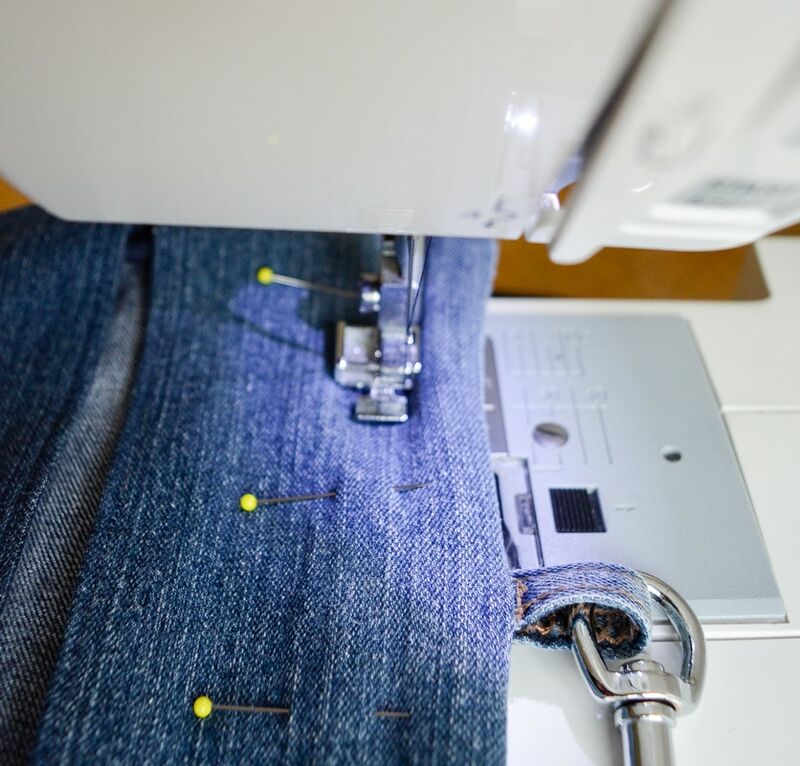 Stitch around the bag with a 1/2cm seam allowance. Encase the raw edges of the sides and bottom with bias binding. Insert a piece of doweling (the width of the peg bag) inside the bag. Pin along the top – the dowelling acts as support for the bag. Stitch in place with a zipper foot. 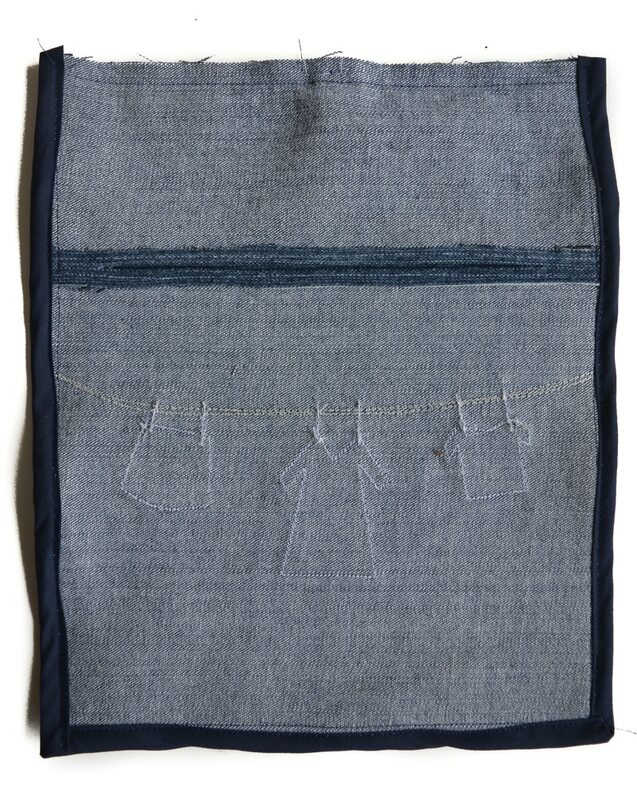 One completed denim peg bag hanging on the dutch balcony. 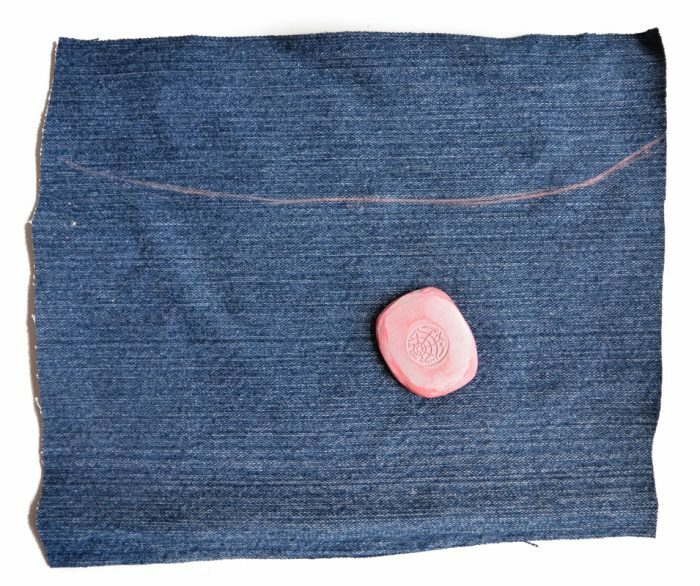 If you too have a passion for reusing denim I have many tutorials, why not check out my personal favourites large denim floor cushion or a sashiko denim tote. 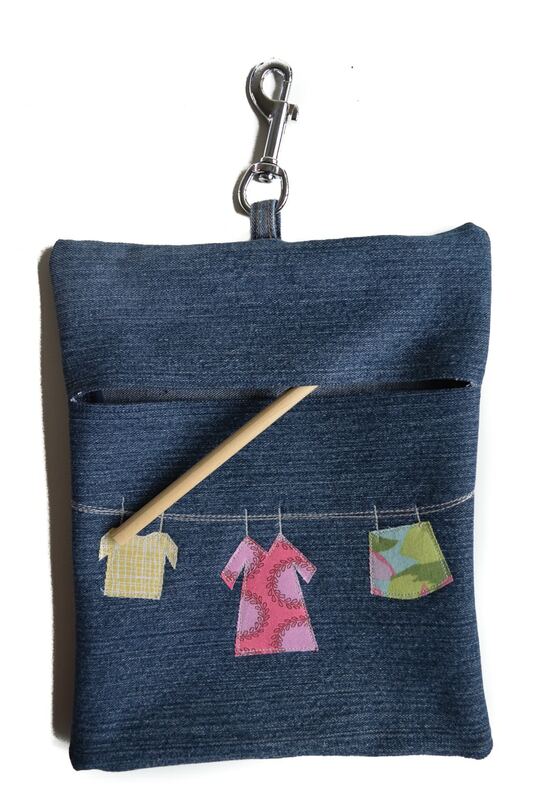 Love your fun clothes pin bag. Thank you! I’m amazed she lost the first one, but this peg bag is definitely an improvement on the first! Love this pattern. 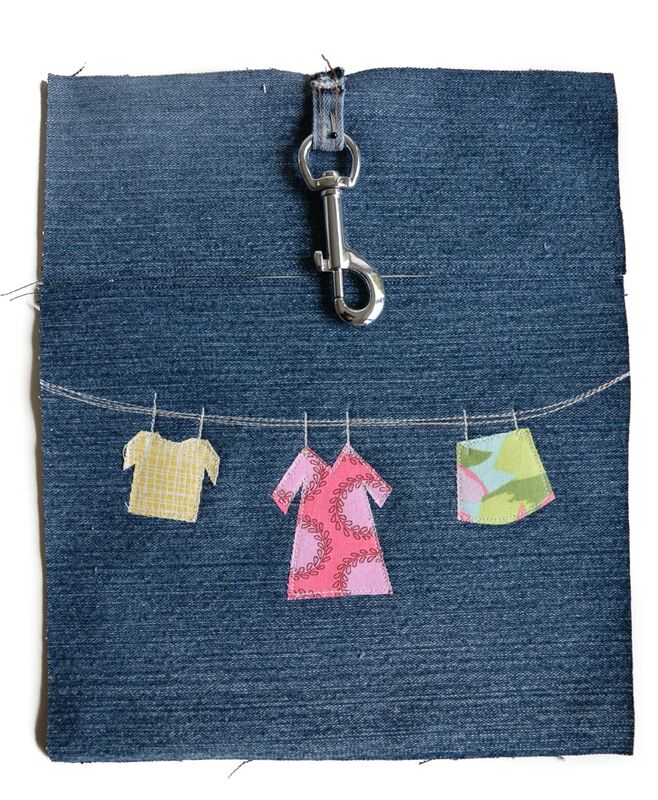 Thanks for sharing this denim peg bag DIY tutorial. I just love your clothespin bag (American term for peg 😉 ) Wish i had one to put a smile on my face while i hung my clothes all those years in Phoenix Arizona! Holy cow did not think anyone used these any more my grandma used a half apron fold in half like a pocket and see into three sections, still have it it’s older than me and I’m 56 so wonderful!! !